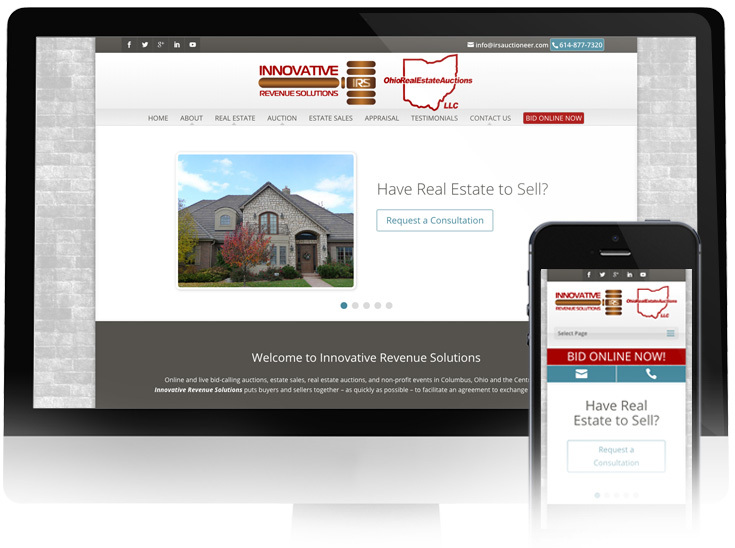 John Rogers of Innovative Revenue Solutions was in need of a professional, sleek website that better represented his top notch services along with better call-to-actions for his potential clients. The new Innovative Revenue Solutions website now features a sleek, clean redesign with a fresh new layout and content that is SEO optimized. The mobile version of the site also includes some creative custom work with buttons that allow users to call, email or bid online with a single click from their tablet or mobile device.